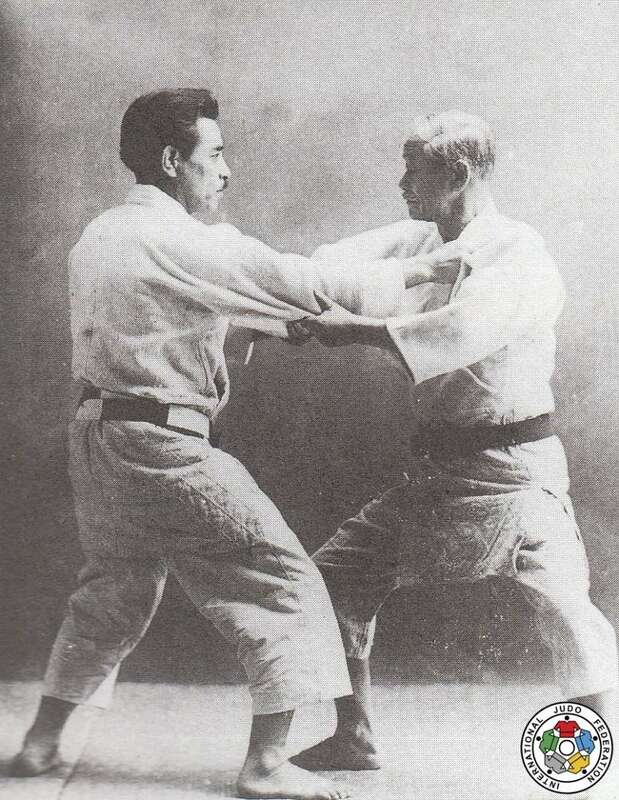 In May 1882 Jigoro Kano was inspired by traditional forms of combat to create a method of physical, intellectual and moral education, which he named judo. Initially considered as a personal defense system, judo is step by step recognized for its educational value, its benefits for the development of the body and the character. Judo became an Olympic sport in the Tokyo Games in 1964, and thus became universal. The International Judo Federation today brings together 195 national federations and 5 continental unions. In the early twentieth century, the Western world discovered the artistic beauty and the military power of Japanese civilization and the effectiveness of strong Japanese soldiers based on their warrior spirit, the bushido, and their fighting techniques, jujutsu. In many countries, the Japanese art is introduced in military curriculum. Jujutsu also appears on the stage of music halls, circuses and fairs. The popularity of jujutsu is launched. Present in cartoons and songs, jujutsu is used in numerous commercials, books or even correspondence courses that promise the technical secrets that make invincible. The art of the ‘weak against the strong’ is not reserved for men. While remaining elegant and feminine, women practiced the Japanese art early on. In London, the "jujutsuffragettes" used the Japanese art as a weapon in the service of their political struggle to gain the right to vote. Small, bullied by his classmates, Jigoro Kano wanted to strengthen his body and learn to defend himself. He studied jujutsu but soon realized that the fight focused on a powerful body and not spiritual and educational means. Kano removed the dangerous jujutsu techniques, he improved the art of falling, imposed that both fighters grab each other and created his own method by synthesizing the oldest forms of defense. In 1882, he opened a place that he called the Kodokan, the "place where the way is studied". Judo techniques were divided into three categories: the throws or nage waza, the controls or katame waza and the kicks or atemi waza. In competition, atemi waza are not allowed. Judo is taught through the randori, free practice, the kata, imposed forms, and the mondo, exchanges between the students and their teacher. The emblem of the Kodokan is an octagonal mirror, the symbol of truth, the central red circle expressing a right and sincere spirit. In 1922, Kano created the Cultural Society of the Kodokan. He writes the two maxims that define the philosophy of his method: Seiryoku zenyo, "the best use of energy" and Jita Kyoei "mutual aid and mutual prosperity". In 1909, Kano was appointed to the International Olympic Committee and devoted his life to the development of education through judo and through sports in Japan and around the world. 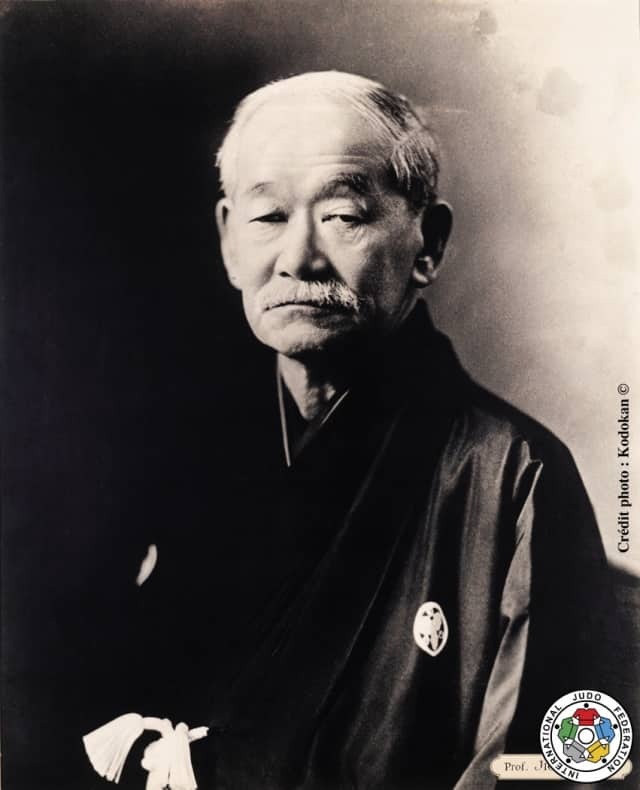 Through the efforts of Kano and his disciples, Kodokan Judo developed within Japanese emigrant communities (USA, Brazil, Canada) as well as in Germany, Britain and the British influenced countries. In France, from 1940, a westernized variant of the Kano method is developed by professor Kawaishi helped by an engineer, Moshe Feldenkrais. The Kawaishi method is very successful in Europe and throughout the French influenced countries. The belt color embodies the expertise of the judoka. Beginners successively wear a white belt, yellow, orange, green, blue and brown before passing a special examination (technical and competition) to obtain the rank of black belt, or dan (1st to 10th dan). The color belt system was developed in England in the mid-1920s and made popular through the Kawaishi method. In 1923, Jigoro Kano opened a women's section. He focused on the technical study and on the kata and did not allow the practice in competition that he considered dangerous to the health of future mothers. Keiko Fukuda, who is the grand daughter of Hachinosuke Fukuda, who taught jujutsu to Kano, dedicated her life to spreading women's judo throughout the world. Official sporting events start to take place in the early 20th century. It is in Germany on August 11th, 1932, that the European Judo Union was created. The first European Championships were held in Dresden in 1934. The Kano method was chosen as a demonstration sport for the Tokyo Olympics in 1940, which never took place because of the Second World War. It is not until the 1964 Games that judo officially entered the Olympic program. The European Judo Union was reconstituted after World War II. On July 11, 1951 in London, its representatives (Great Britain, France, Italy, Belgium, Netherlands, Germany, Austria and Switzerland) receive the candidacy of Argentina. The International Judo Federation is created. The Italian Aldo Torti is appointed President of the IJF. 1992: since Barcelona Olympic Games, both male and female competition are part of the Olympic program.